SPECIALS AVAILABLE!! We offer 3 separate detached charming Craftsman's Cottages. Butterfly Cottage #A is 2 Bedroom 2 Bath and sleeps 6 people, Hummingbird Cottage #C is a 2 Bedroom 1 Bath and sleeps 6 people. Ladybug #B studio sleeps 4. Perfect for couples, Family reunions, Wedding Parties, Business Events, Group of Friends or Family coming together in the same location. Note: All 3 Cottages are remodeled, historical, turn-of-the-century 1920's craftsman, architectural style. The charming setting in San Roque neighborhood is a very desirable location in the heart of SB. The setting that awaits you is quiet, quaint, and peaceful and is surrounded by a variety of mature trees, colorful flowerbeds, lush landscaping & all enclosed by a beautiful new white picket fence. We offer an additional 10% off for last minute bookings for dates of stay with in 10 days of booking. 2 bedrooms, 2 baths, wireless internet, cable tv, local phone service, gas bbq, washer and dryer. One king bed, 2 twins, pull out sofa in the living room. 2 bedrooms, 1 bath, wireless internet, cable tv, shared washer & driver, local phone service, gas bbq. studio, 1 queen bed, futon, 1 bath, wireless internet, cable tv, local phone service, gas bbq, shared washer & dryer. 'Wonderful Cottage. Was a home away from home! Thanks for making our family vacation wonderful. What a relaxing weekend. My wife & I have lived in Santa Barbara for 29 yrs and invite you to come visit our Charming Cottages. There is no place like Santa Barbara in the world and we think you will agree with us after you have stayed with us in the heart of the Santa Barbara. Known as the American Riviera. Our three Cottages are very charming inside and out. The landscape area surrounding the three Cottages matches the Cottages them selves. The San Roque area neighborhood is a very desirable area for locals to purchase Real Estate because of its family oriented life style and sought after school district. Also its proximity to beaches , shopping and Wine Country. We invested here because of all of these reasons. About 4 miles from Arroyo Burro Beach, which is dog friendly! About 4 miles from the heart of Downtown Santa Barbara! 1 refrigerator in each cottage. Gas Stove in Butterfly & Hummingbird. Ladybug has a 2 burner electric cooktop. Gas Oven in Butterfly & Hummingbird. Ladybug is equipped with a toaster oven. Each cottage is equipped with a microwave. Each cottage is equipped with all dishes and eating utensils. Everything you would have at home. Plan a special dinner or prepare for holiday family gathering. You will really feel your on vacation! Home away from home! All Cottages have body boards, beach chairs and coolers for beach use. Ladybug Cottage is single story with no steps for entry. Hummingbird Cottage is single story, but has about eight steps to front door. 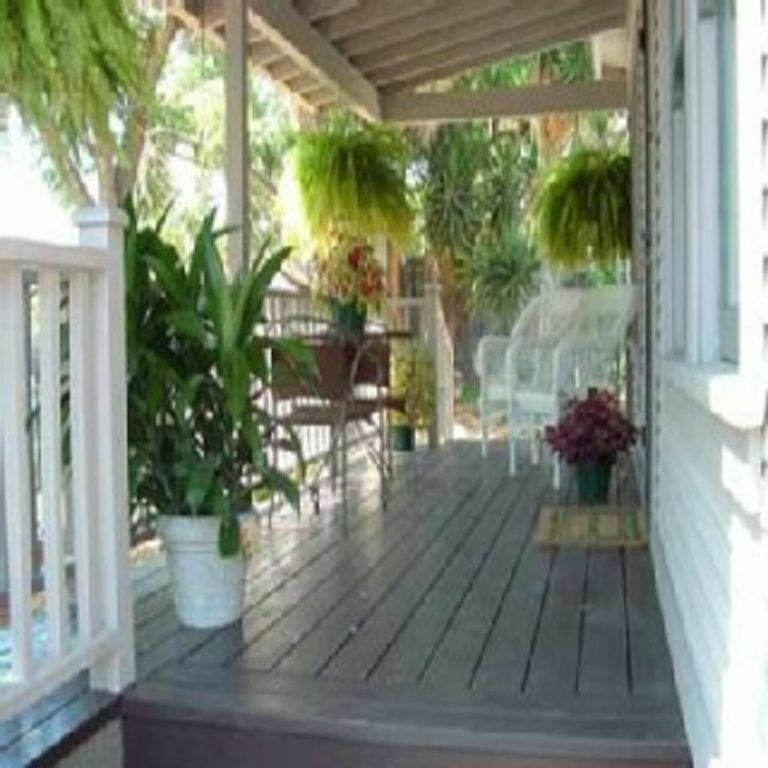 Butterfly Cottage has 3 steps to front entry and one step down into back entry. Cottages have a unique location for vacation pleasure. There is a flat, easy walk to both La Cumbre and Five Points shopping malls, Whole Foods Market and Famous Sideways Santa Ynez Valley Wine Tasting 20.7 miles away. Beach access is nearby(4.2 miles away). Near scenic beaches, the Harbor, Pier, Arts & Crafts Fair (Sundays at East Beach), Santa Barbara Zoo, Santa Barbara Botanical Gardens, the Historical Courthouse, the Museum of Natural History, the Santa Barbara Museum of Art, and world-class dining and shopping. -30 Scenic Miles along Route 154 through the hills of the Los Padres National Forest, past Lake Cachuma to Solvang/Buelton and the Santa Ynez Valley famous Wine Counrty where the movie Sideways was filmed(20.7 miles).